Rahul Gandhi, on the second day of his three-day trip to Gujarat, took aim at Prime Minister Narendra Modi, saying that the government in the state will be run by 'Gujaratis in Gujarat.' 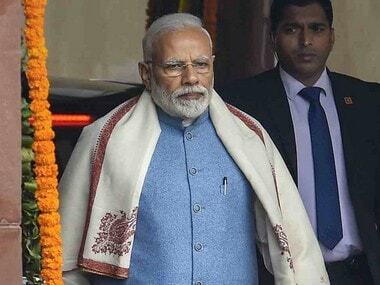 The vice-president said that under the Congress, the government will not be run from Delhi by a 'remote control,' as reported by India Today. Rahul Gandhi, campaigning in the Saurashtra region of Gujarat – where Assembly polls are due later this year – began day two of his three-day trip by meeting representatives of the trader community in Jamnagar. "There is a strong undercurrent in favour of Congress in Gujarat. People want change and Congress will definitely come to power this time. People of Gujarat are unhappy with the ruling party as they feel cheated after giving their votes to the BJP," India Today report quoted Rahul as saying. Rahul is expected to visit Dhrol and Tankara before reaching Rajkot later in the day. He is also scheduled to meet local milk producers as well as cooperative leaders. He is slated to interact with traders and businessmen at Hemu Gandhvi hall in Rajkot later in the evening. On Monday, Rahul attacked Prime Minister Narendra Modi over note ban, GST, farm policies and 'Gujarat model' of development and voiced confidence about winning the upcoming Assembly elections, claiming there is a strong undercurrent in favour of Congress in Gujarat. Talking to journalists on arrival in Jamnagar for a road show on Monday, Rahul said people are regretting having voted for the BJP. "There is a strong undercurrent in favour of Congress in Gujarat. People want change and Congress will definitely come to power this time. People of Gujarat are unhappy with the ruling party as they feel cheated after giving their votes to the BJP," said Rahul, adding that Congress will help Gujarat develop. The Congress has been out of power in Gujarat for over two decades. The 47-year-old Congress leader, who started Monday by offering prayers at the famous Dwarkadhish Temple in Dwarka, interacted with people during his trip from the holy city to Jamnagar, passing through Saurashtra region. In his short speeches at various places, Rahul assailed Modi over demonetisation and a host of other issues. He highlighted the issue of unemployment under the BJP dispensation and promised to solve the problems faced by Gujarat's farmers if his party is voted to power in the state. Travelling in a specially designed bus, he interacted with villagers at many places. From Dwarka, Rahul headed to Hanjrapar, where he was accorded a traditional welcome by villagers. He even rode a bullock cart and interacted with villagers. Rahul came down heavily on Gujarat's BJP government on the issue of privatisation. "Privatisation is happening in every sector under this government, be it education or health sector. 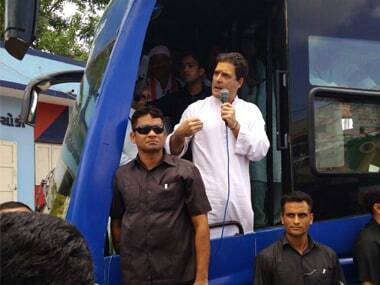 Due to this policy of the BJP government, poor people are not getting education or health services," Rahul said. He promised free medicines and medical treatment if the Congress is voted to power in Gujarat. Accusing the BJP government of being "anti-farmer", Rahul demanded that the government announce complete farm loan waiver in Gujarat. "If the government can waive loans given to businessmen, why not farmers? The Indian government gave away Rs 1.30 lakh crore to 15 large business houses while Rs seven lakh crore in loans were not returned to banks. They (businessmen) will get all the benefits, while you (farmers) will be jailed for not repaying loans," said Rahul. Before visiting Hanjrapar, Rahul made several halts along the route, including at Bhatia village. In his address there, Rahul slammed the Modi government for "failing" to address basic problems of people. Around 20,000 youths pass out of educational institutes every day but the Central government manages to give employment to only 400, he claimed. "You go to any corner of this country and ask farmers whether they get proper price for their produce. All of them will promptly say, no," Rahul said. "Our Prime Minister Narendra Modi declared demonetisation without consulting anyone. This was a massive blow to our economy. Farmers were badly hit as they do not do transactions through phone or debit card. They use cash to buy seeds or pay farm labourers," said Rahul. 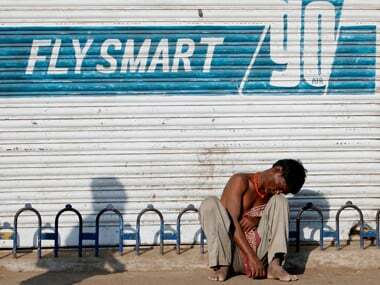 He claimed the Goods and Services Tax (GST) has broken the back of small traders and shopkeepers. Rahul said though the Congress told the government to have a single tax rate under the GST, it introduced five slabs. He claimed lakhs of businesses have shut down due to the GST. The poor have no place in the 'Gujarat model' of development which has benefited only a handful of businessmen, the Congress leader said. "Business houses get everything, be it water, land or electricity. But the poor are always neglected. This is the difference between them (the BJP) and us (the Congress). I promise our government will be of the poor, farmers and youth," he said. After Bhatia, Rahul reached Nandana village, where he addressed school children. "Our country has made huge progress in the last 70 years. When we got Independence, we didn't have many good schools, big universities or companies. Whatever exists today is because of the hard work of your parents as well as grandparents," he said. Notably, Rahul was greeted by Hardik Patel, leader of the Patel quota agitation, on his Gujarat visit. 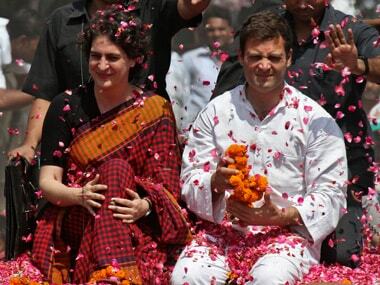 "A warm welcome to Congress vice-president Rahul Gandhi in Gujarat," Patel tweeted in Hindi on Monday morning. On Wednesday, Rahul will cover Chotila, Jasdan, Virpur, Jetpur and other towns before concluding his campaign at Khodal Dham at Kagvad village. Party sources said Rahul is expected to campaign in north, central and south Gujarat at later dates as part of the party's poll campaign ahead of the Assembly elections slated to be held later this year.